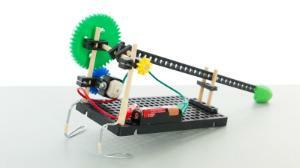 Wiggle-Bots are motorized contraptions that are designed and built by kids. Wiggle-Bots are much more than "a lot of fun". They inspire. Watch eyes widen as wires are connected and Wiggle-Bots start to move. 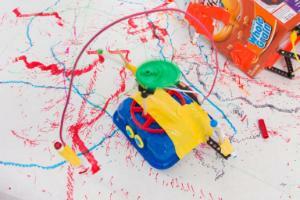 See how understanding and design evolves through experimentation and tinkering. Appreciate the challenge of going beyond step by step instructions and creating something completely new and innovative. It's an incredible experience. How will you Wiggle? 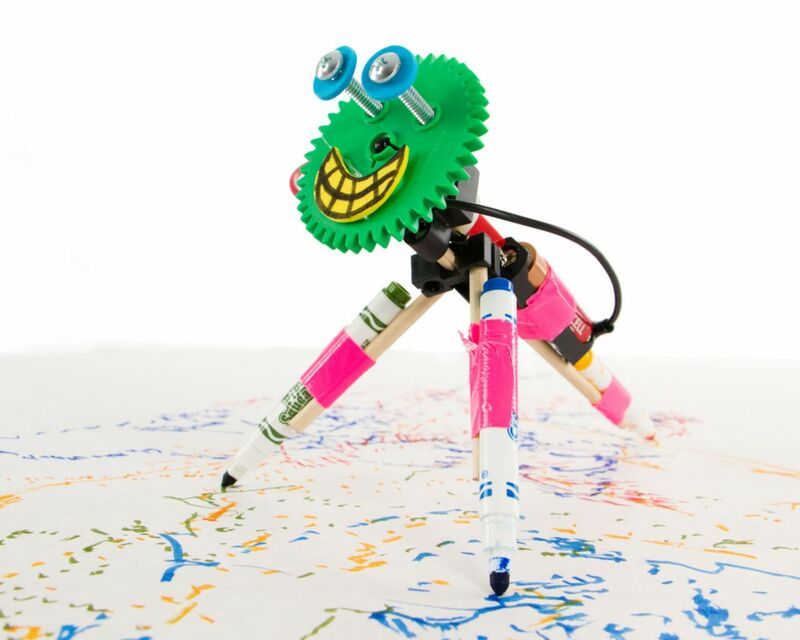 Your Wiggle-Bot can be designed to do many cool things. The Wiggle Bot contains: AA battery holder, 4 gears of various sizes, motor with leads, motor mount, 4 wooden dowels, 2 steel wires, and 2 perpendicular blocks. The Super Wiggle Bot contains: AA battery holder, 4 gears of various sizes, motor with leads, motor mount, 8 wooden dowels, 4 steel wires, 3 perpendicular blocks, 2 screws and nuts, and 1 hole plate.